Traditional picture frames just sits on your desk, but this Levitating picture frame will keep your memories floating all-the-time, just like they do in your mind! 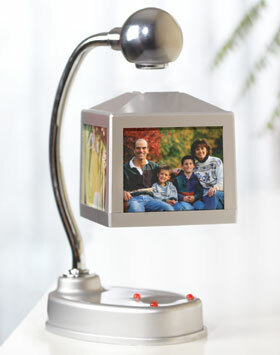 The magnetic picture frame will not just display your favorite pictures but will be a focal point of your desk. The geeky picture frame works on the electromagnetic principles with a powerful electromagnet and 3 Neodymium magnets creating an electromagnetic field. The levitating frame floats on its own, but you can control the field strength, can raise or lower the floating cube. The magnetic picture frame sells for $34.95. The myriad uses of a bathtub!